This is the tale of two otters, both sea captains, both strong and self-assured, both masters of their own crew. Marshall, son of the famous (and missing) relic hunter, is the darling of the Secoran navy, master of weaponry, loyal, honest, and stalwart. McKinley the Marauder, infamous pirate, quick on his feet, adaptable, brash, and droll. No two “men” have ever been more a different…or more equally matched. For both are pursuing the same end—the fabled Mosque Hill Fortune. There Marshall hopes to seize the Scepter, the ancient symbol of Secoran power, before the evil Baron Von Ulrich usurps the throne. McKinley seeks only treasure, and hopes it will be enough to save the life of his young daughter. This is a tremendously engaging epic adventure with swashbuckling pirates, naval battles, a treasure hunt, and a host of wonderful characters, both good and evil. Ms. Matthews’ mastery of language is a beautiful thing. Each word is weighted and well-chosen, each sentence efficient and skillfully constructed. Lovely. The characterization and world building are also outstanding. Because the characters are all animals, it’s reminiscent of a Disney movie, but it contains a violent element with blood, injuries, and death that Disney usually sugar coats. It also reminds me a bit of the Warrior series by Erin Hunter, as well as some of the adventure of Peter and the Starchachers, by Ridley Pierson and Dave Barry. The story starts piecemeal, through the development of many character perspectives. They do merge into a complete, well-woven tale, but the initial approach would present some difficulties for my boys. Because of the violence, vocab, and degree of difficulty, I’d recommend this one for age 11. Great news! This one is actually FREE! At least it was all during May. Grab a copy here! What a thoughtful review. Sounds like a great summer pirate adventure for boys. Like that the characters are animals. Yes, excellent boy book! And the animals keep the violence from being too serious. 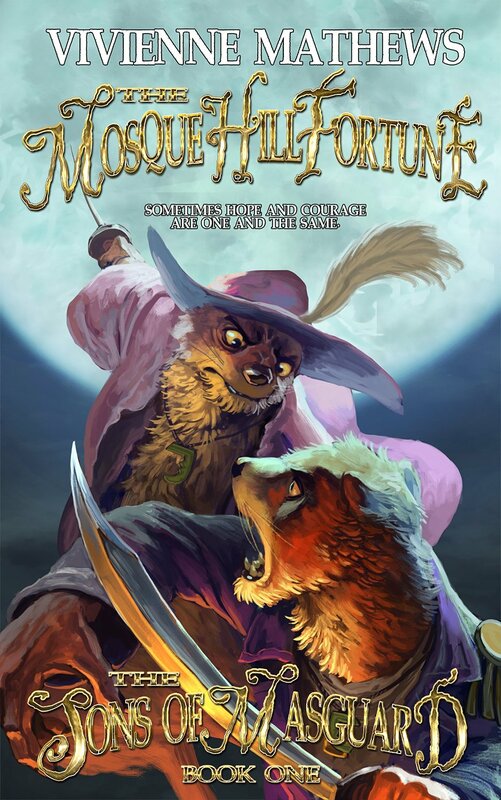 Sounds a bit more playful and less violent than Redwall. And who doesn’t love otters?! Thanks for the review. I HAVE GOT TO READ REDWALL! I think I may have read the first one. I can picture it, but I can’t remember it. Must rectify! I agree with Ms. Wing! Sorry you’re feeling crumby, Erik. 😦 This one is still free at the link above. I just checked it two days ago. While you’re looking it up, I will read (or re-read, as the case may be) Redwall!